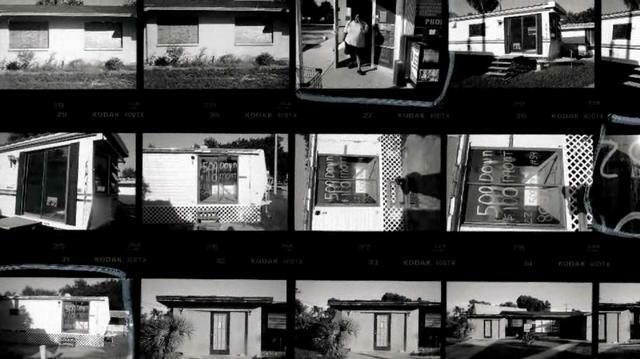 In September of 2008, Bruce Gilden began a project that set out to document foreclosures in America. Beginning in Fort Myers, Florida — the foreclosure capital of the East Coast — Gilden, with his knack for shining both a literal and figurative light on the forgotten, set out to capture the fallout of the subprime mortgage crisis. His work focuses on how the collapsed “American dream” visually manifests, both in the decaying physical landscape of the hardest hit communities and in the bleary faces and pained stories of the crisis’ victims. Posted in ASX.TV Street Photography, Documentary and tagged ASX.TV Photojournalism, ASX.TV Street Photography, Bruce Gilden, Social Critique, Street Photography.